The FMC loopback tester board tester enables developers and assembly factories to test and characterize the FMC carrier board interfaces. 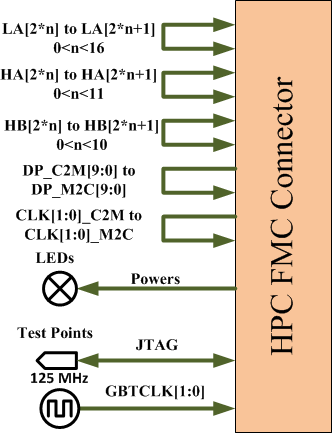 The board features full differential loopbacks on all the FMC high pin count (HPC) connector interfaces including LA, HA, HB, DP and CLK. It also provides a 125MHz transceiver LVDS reference clocks on GBTCLK signals. The FMC loopback board is based on VITA 57 standard with ruggedized conduction or air cooling. 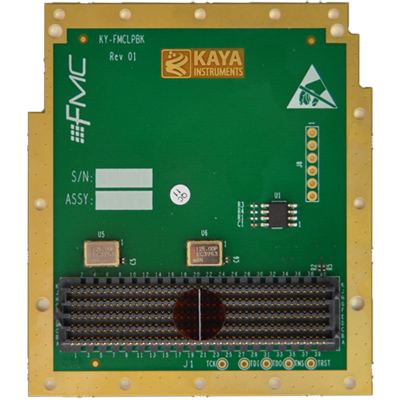 The FMC loopback test board is delivered in air and conduction cooled FMC standards. The board supports standard VITA 47 ruggedization levels for severe environmental conditions.